Researching my books ‘America’s Gift’ and ‘How Blues Evolved’, I naturally became aware of how many early blues musicians died well before their time. I was therefore surprised to read press reports of a new study claiming that old blues pioneers were far less likely to die a violent death than their counterparts in other genres of popular music. 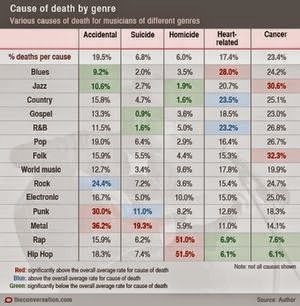 Dianna Kenny, honorary professor of music at the University of Sydney, has just released statistics showing 51.5 percent of hip-hop deaths are due to murder as are 51 percent of rapper deaths. 19.3 percent of metal deaths are suicide and 24.4 percent of rock deaths are accidental, such as drug overdoses and motor accidents. 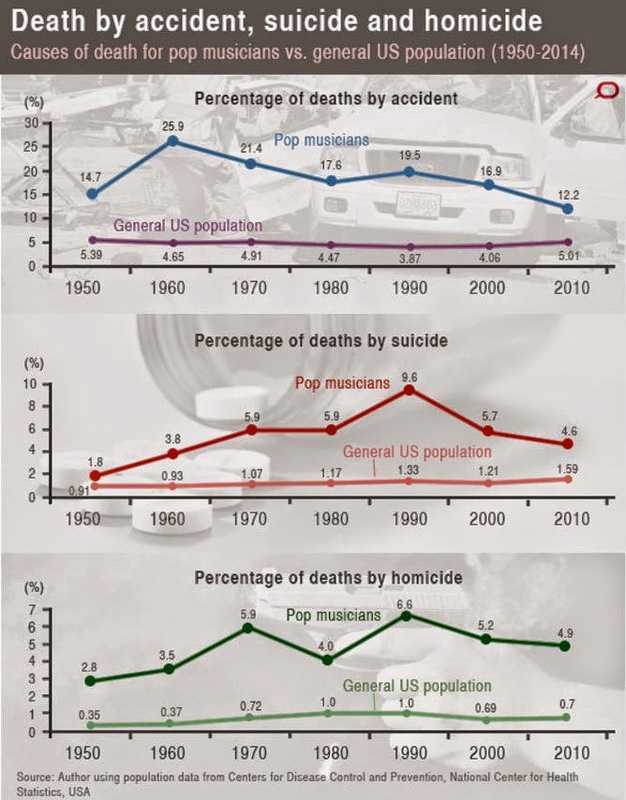 Blues deaths due to murder are just 3.5 percent while the average for musicians killed by homicide was 6 percent. 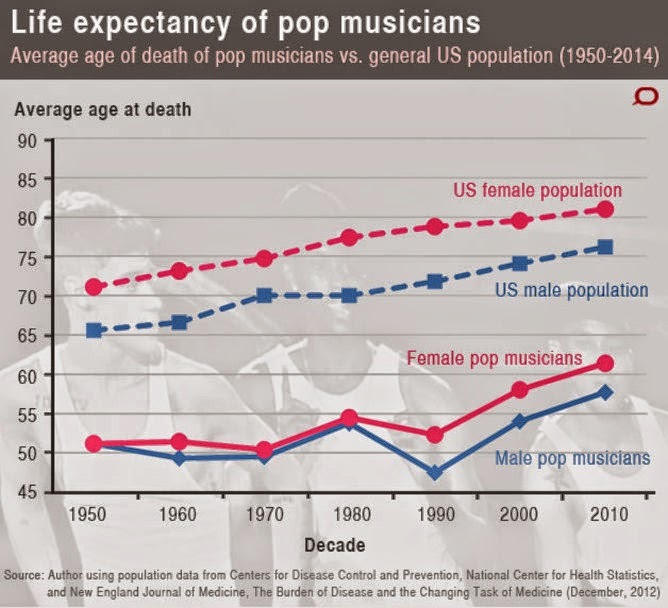 The problem is that Professor Kenny bases her study on 12,665 pop musicians who died between 1950 and June 2014. Of these musicians, incidentally, 11,478 were male – 90.6 percent. 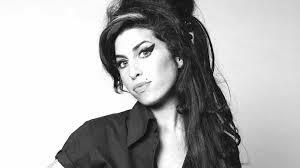 Amy Winehouse died way too young at 27. Now, I only research blues up the 1950s, because that’s where I figure most blues fans’ knowledge basically starts. (No need to reinvent the wheel, as they say.) And off the top of my head I can reel off a whole heap of blues musicians who died early or violent deaths back in the early days. Butler May, for example, a rock ‘n’ roll wild child in the true ‘Wild One’ tradition, died tragically young in 1917, aged just 23. 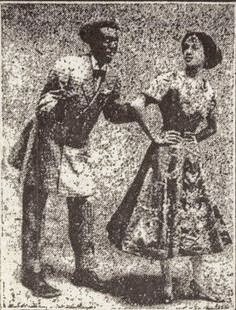 Often known as Stringbeans, Butler May was hailed by one critic as a ‘theatrical genius’ who was “beating, cutting and fornicating his way across the black vaudeville landscape, while spreading his message of the real blues”. If Butler ‘Stringbeans’ May was not recognised by his contemporaries as the first great piano blues man or the First Blues King, maintain Abbott and Seroff, it was only because there was nobody to compare him to. While W.C. Handy represented the respectful blues, the scholars say, Butler May “personified the unadulterated pure instinct of the blues”. Butler May: died of a broken neck in 1917 aged 23.
original Sonny Boy Williamson. The blues harmonica player was attacked and stabbed to death on his way home from a gig on Chicago’s South Side in 1948, aged 34. His murderers were never found. Less known these days is Leroy Carr, a blues singer, pianist and songwriter whose crooning and laid-back vocal style influenced a raft of legendary vocalists from Nat King Cole and Ray Charles to Jimmy Witherspoon and T-Bone Walker. Carr also wrote for Count Basie whose band is said to have been influenced by Carr’s piano playing style, and enjoyed a long term professional partnership with the acoustic single-note North Carolina guitar picker, Scrapper Blackwell. Leroy Carr was an alcoholic and died of inflamed kidneys in Indianapolis in 1935, aged just 30. Another hardly-known blues pioneer, the Piedmont blues guitarist, Barbecue Bob, died of TB in 1931, aged 29.
killed in a car crash in 1937 aged 43. One of the finest blues and jazz guitarists of all time, the Italian-American Eddie Lang (who often partnered Lonnie Johnson on record in the 1920s) died of a botched operation in 1933 aged 30. And so it goes on. It’s a pity Professor Kenny didn’t include blues musicians before 1950 in her study. “U da best, Paul. #Great #Music #Blogs A #Must #Read.” @Carlos_Wilde, Spain, 13 April 2015.